A tobacco product that its maker claims to be safer than cigarettes won qualified support from a Food and Drug Administration advisory panel Thursday. The advisers voted 8-1 to support cigarette giant Philip Morris' claim that its "iQOS"system "significantly reduces your body's exposure to harmful or potentially harmful chemicals." The device heats tobacco but doesn't ignite it. But on the question of whether that approach translates into a reduction in the risk for tobacco-related diseases, the panel said the tobacco company's studies didn't demonstrate that. The vote was eight against, with one abstention. Similarly, they said Philip Morris hadn't proved that reducing harmful exposure would necessarily "translate to a measurable and substantial reduction in morbidity and/or mortality." The vote was 5-2 against, with one abstention. There was some support for the company's claims that "switching completely to iQOS presents less risk of harm than continuing to smoke cigarettes." But the measure failed on a vote of 4-5 against. The FDA doesn't have to follow the advisory panel's advice but usually does. During the two-day hearing, the company presented claims that iQOS poses less danger because the device heats tobacco, instead of igniting it, to produce an aerosol that contains 90 percent lower levels of dangerous chemicals than found in cigarette smoke. If the agency grants the company's request and approves the product, iQOS would become the first tobacco product authorized by the FDA to be marketed as causing less harm than regular cigarettes. Advocates and some smoking-cessation counselors urged the committee to endorse the product to make an alternative they consider to be safer available to millions of U.S. smokers. But some anti-smoking advocates question whether the device really is safer and fear it could hook more people on nicotine, including children. Philip Morris argued the device would be exclusively marketed to smokers and estimates the iQOS could save 90,000 lives over 20 years in the United States. "IQOS emits toxicants and is not risk-free," Manuel Peitsch, Philip Morris' chief scientific officer, said on the opening day of the hearing. "Nevertheless, iQOS emits significantly lower levels of toxicants than regular cigarettes. Switching to iQOS can significantly reduce the risk of disease compared to regular smoking." The device could be more appealing to many smokers than electronic cigarettes because the iQOS heats tobacco instead of a liquid containing nicotine. That gives the user more of the taste and experience of regular cigarettes, the company argues. Critics, however, questioned Philip Morris's safety claims. "I think the whole thing is a scam," said Stanton Glantz, a prominent anti-smoking advocate at the University of California, San Francisco, to NPR before the hearing. "When you look at the actual evidence that Philip Morris has submitted to the FDA, it doesn't support the claim that these things are any better than cigarettes in terms of health effects in people." Glantz noted that the tobacco industry has a long history of selling products that it claimed were safer, such as cigarettes marketed as "light," "mild" or "low-tar," that turned out to be just as dangerous. "What we're seeing is just a replay of the old light and mild scam," Glantz said. One study conducted in Switzerland found that while the iQOS produces many toxic chemicals at lower levels than cigarette smoke, some are higher than the company claims. Philip Morris disputes that research. Some of the chemicals found are components of smoke, the researchers say. "We found lower concentrations of these compounds; however, we found them. And because we found them, we think this is smoke," Reto Auer, an assistant professor at the University of Bern in Switzerland who conducted the study, said in an interview before the hearing. "We disagree with the claim that it's smokeless. People should be aware there are still toxic substances in the iQOS." Auer and Glantz's concerns were echoed by several people who spoke during a public comment period on the second day of the hearing. The iQOS looks suspiciously similar to the most popular e-cigarettes among children, Matthew Myers, president of the Campaign for Tobacco-Free Kids, told the committee. "It is high-tech. It is sleek. It is designed in exactly the way that would appeal to young people," Myers told the committee. If the iQOS were approved, it could hook children and teenagers on nicotine, reversing the progress that has been made to reduce smoking among young people, Myers fears. But most of the speakers at the hearing urged the committee to recommend approval to give smokers a potentially safer alternative to cigarettes. More than 36 million Americans currently smoke. "There is no health threat that compares to smoking," said Hank Campbell, president of the American Council on Science and Health. "Even though we have been opposed to smoking for 40 years, we support these devices." "Patients who smoke clearly need more tools to help them quit," said Jeff Fortenbacher, president and CEO of Access Health in Muskegon, Mich. In an interview before the hearing, Jonathan Foulds, a professor of public health sciences and psychiatry at Penn State University, agreed. "I think it's a step in the right direction for tobacco companies to be developing products that have the probability of being significantly less harmful than conventional cigarettes," Foulds says. Philip Morris is already selling iQOS in more than 30 countries and argued there was no evidence it was enticing children to use the product or start smoking. In fact, the company said, cigarette smoking had dropped dramatically since the device was introduced in Japan. The iQOS consists of several parts. One part is called a "heatstick," which is made from compressed wads of tobacco. If approved, three versions would be sold: Marlboro HeatSticks, Marlboro Smooth Menthol HeatSticks and Marlboro Fresh Menthol HeatSticks. The iQOS device is reusable, but the heatsticks are not. Users would insert a heatstick into a holder that has a blade that penetrates the middle of the tobacco wad. When the user presses a button, the blade heats the tobacco to temperatures only capable of producing an aerosol that contains nicotine, according to the company. The tobacco never gets hot enough to combust, according to Philip Morris. Burning tobacco produces far greater levels of potential toxic substances than just heating it, the company says. The devices stay on for six minutes or 14 puffs, whichever comes first, before shutting off automatically. Philip Morris hasn't said how much the device would cost in the United States. But in Japan, the device sells for about $80, and a pack of heatsticks costs about the same as a pack of cigarettes. The FDA advisory committee's recommendation Thursday pertains only to the company's claims about the safety of the product. Philip Morris would still have to get the FDA to sign off on a separate application to actually sell the devices in the United States for the first time. The hearing comes after the FDA announced plans to eventually reduce the amount of nicotine in regular cigarettes in the hopes of weaning more Americans off cigarettes. As part of that effort, the FDA has said the agency hopes to offer more alternative sources of nicotine that would be safer than cigarettes. 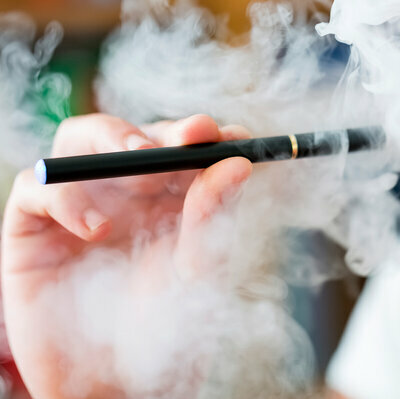 Separately, the FDA has begun reviewing the safety of electronic cigarettes. Those devices heat fluid containing nicotine to produce a vapor that users inhale. 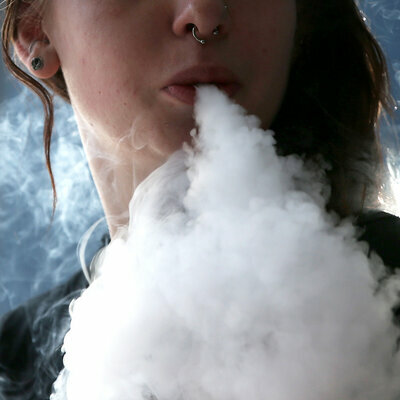 E-cigarettes have become increasingly popular, especially among young people. The growth in use has alarmed many public health experts. While e-cigarettes may be safer than regular cigarettes, experts say e-cigarettes aren't completely safe and fear they are hooking a new generation of children on nicotine and acting as a gateway to traditional cigarettes.